This expansive history of positive thinking also offers specific self-help techniques. 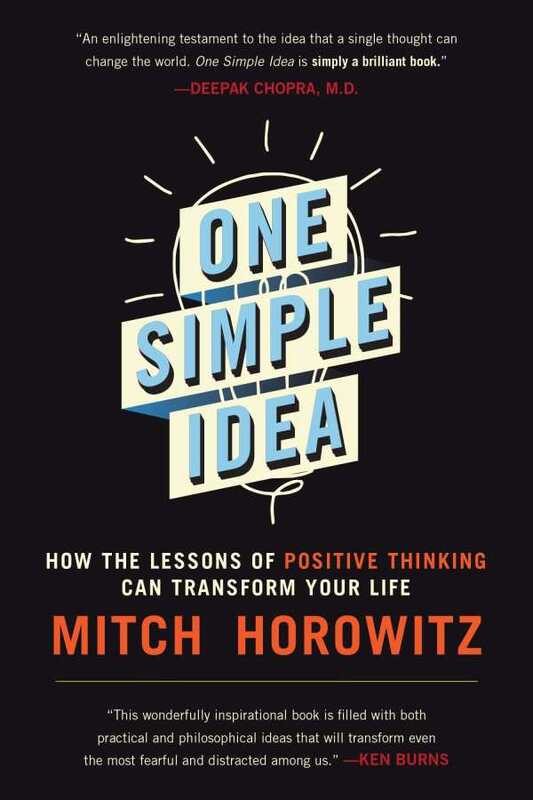 One Simple Idea is a thorough chronicle of the concept of positive thinking, from the early 19th century to the present day. Writing with a storyteller’s skill, Horowitz brings to life the philosophy and principles put forth by such figures as Christian Science founder Mary Baker Eddy; Emma Curtis Hopkins, first an apostle and then an apostate of Eddy’s; Bill Wilson and Bob Smith, cofounders of Alcoholics Anonymous; Think and Grow Rich author Napoleon Hill; business guru Dale Carnegie; positive-thinking minister Norman Vincent Peale; and former president Ronald Reagan. Horowitz shares fascinating and intimate details that offer insights about each of these important individuals as well as others. One Simple Idea is rich with historical perspective, but the book’s real importance is the fact that it will be sure to stir up much thought about the notion of positive thinking.